This pretty Lemon Chrysophase necklace is so much in fashion with the soldered sterling silver rings enhancing the gemstones. 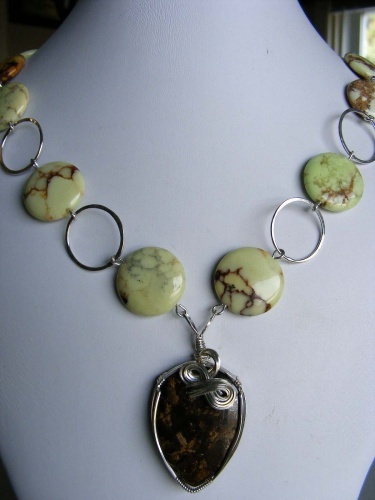 The focal is a bronzite gemstone with sculpted steling siver curls to make it pop. Piece has a locking sterling silver clasp.